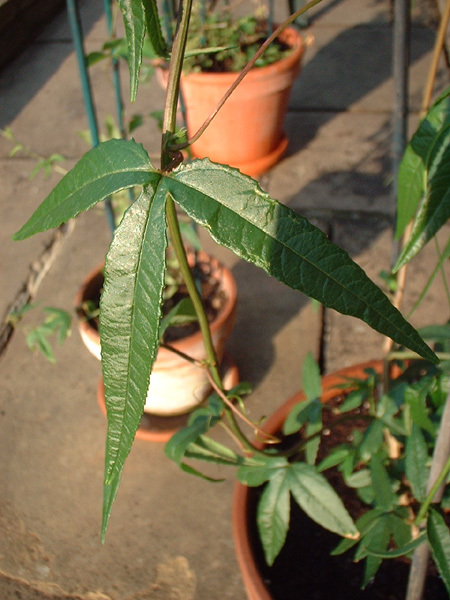 ”It was discovered only recently, and officially published early last year, that the ‘banana poka’ weed of Hawai’i, which had been thought to be Passiflora mollissima (or, if you prefer, P. tripartita var. 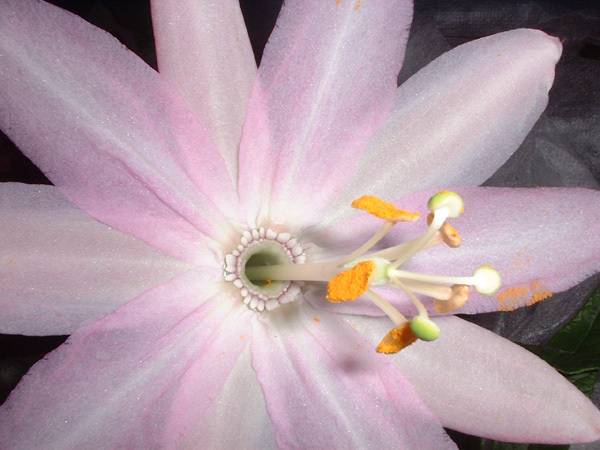 mollissima) is NOT the real mollissima but is a new undescribed species. 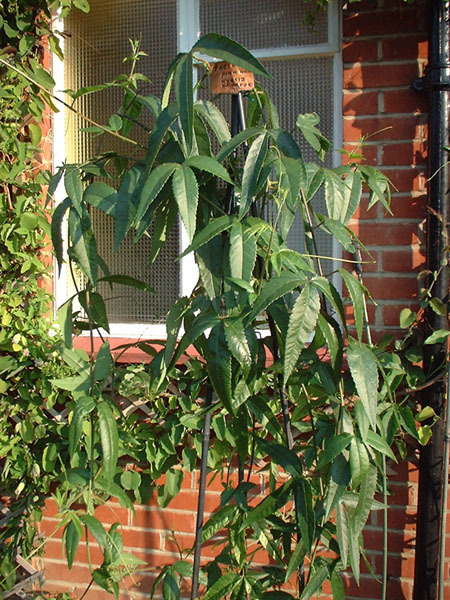 Yes, terrible weeds that are common can be unknown species to science, partly because few scientists study weeds. 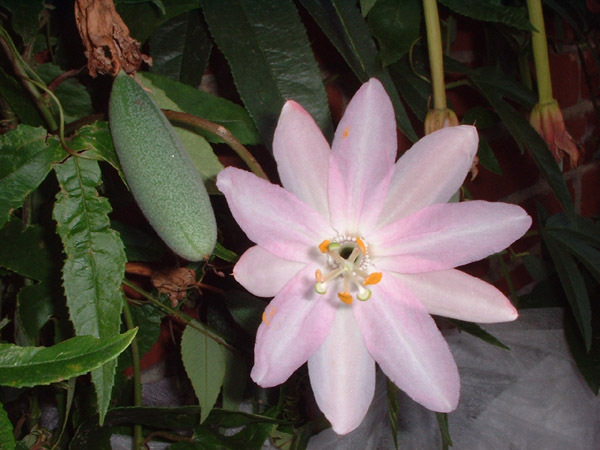 This new species was named Passiflora tarminiana Coppens & Barney (authors are fruit researchers working in Colombia), in honor of the Colombian agronomist Tarmin (accent over the i) who introduced Coppens to the study of passionfruits. 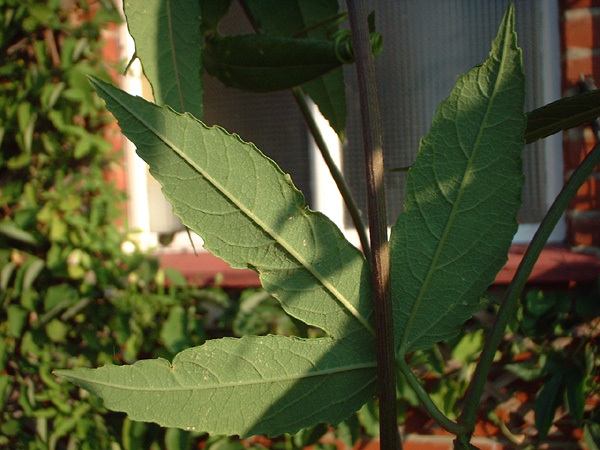 Proof that mollissima and this are two different species came from study of morphology, hybridization, enzymes studies, and DNA sequencing, so it appears to be true. 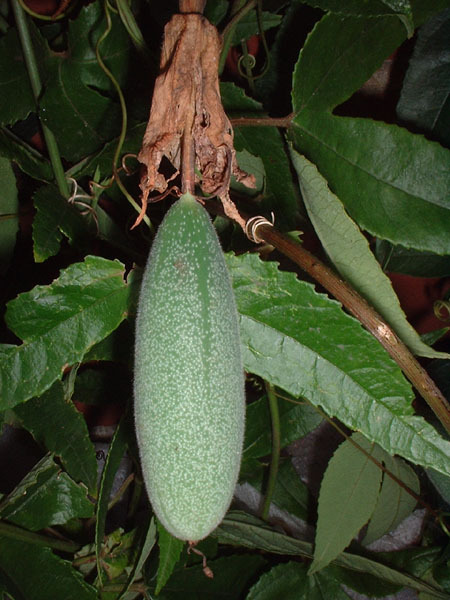 P. tarminiana is grown throughout the Andes, along with the true mollissima. True mollissima apparently is absent from Hawai’i. 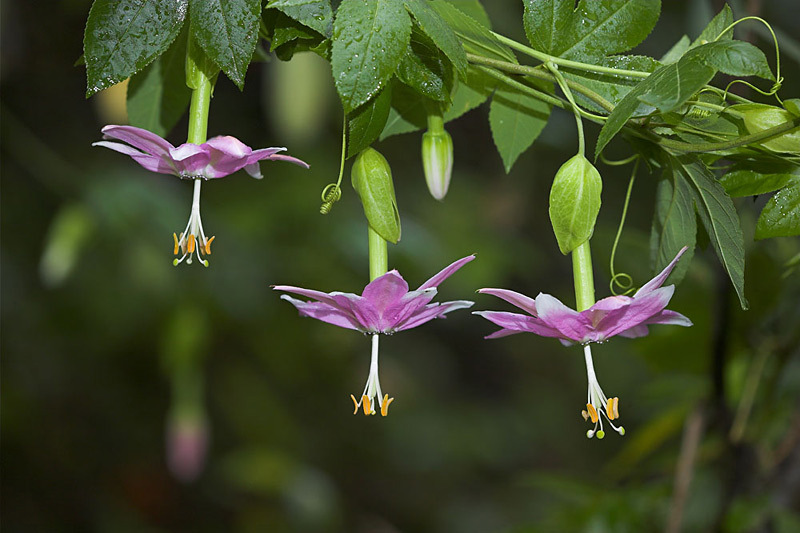 You can tell them apart: real mollissima never opens its petals and sepals more than a bell-shape, and the sepals are very short in relation to the length of the floral tube. 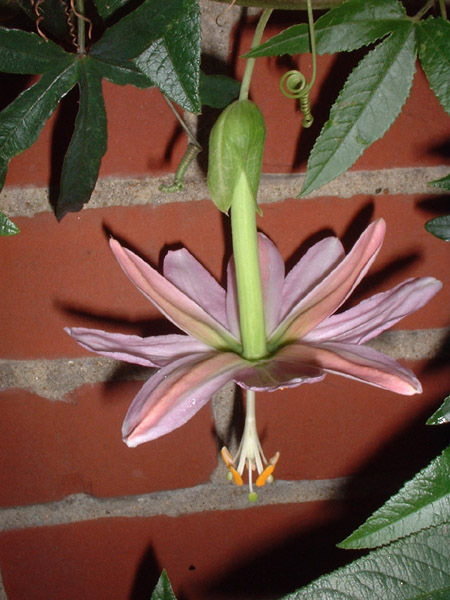 Tarminiana opens the petals and sepals flat open, even reflexed back, and the sepals are closer to the length of the floral tube. 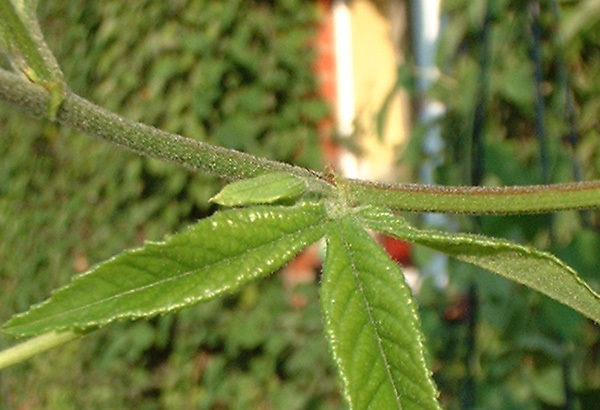 The leaves of tarminiana are always hairless on top. The stipules are different also, etc. This is from my head, sorry I don’t have the exact differences in front of me. I will look them up, and the reference, for you all later. Anyway, the pictures of “P. 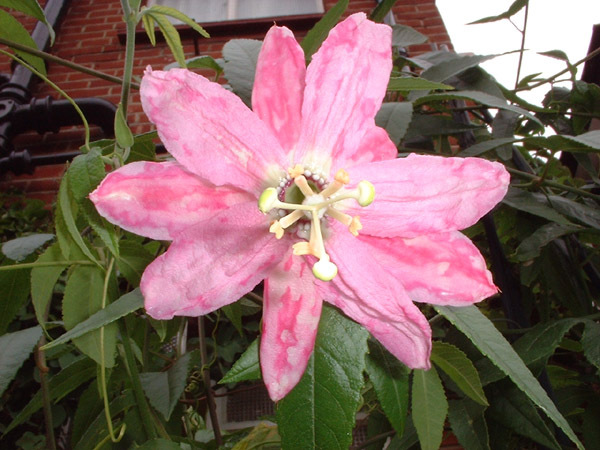 mollissima” in most books is P. tarminiana. 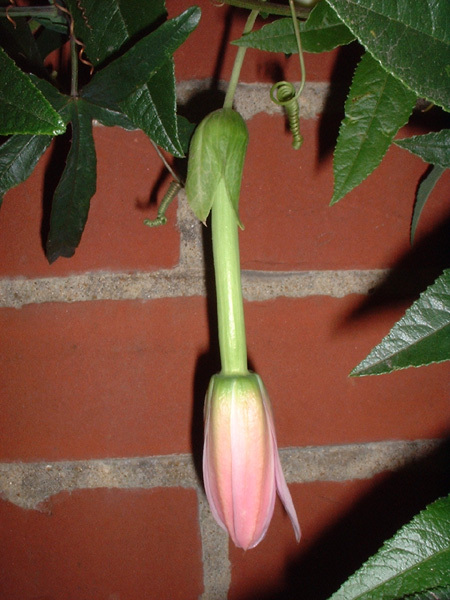 It is prettier because the flowers open up more and are larger across.